ICC Cricket World Cup 2019: Is it coming home to England this time? Indian broadcaster IMG Reliance has withdrawn from its contract to produce coverage of the Pakistan Twenty20 league following the deadly Kashmir attack last week, the Pakistan Cricket Board (PCB) announced on Sunday. 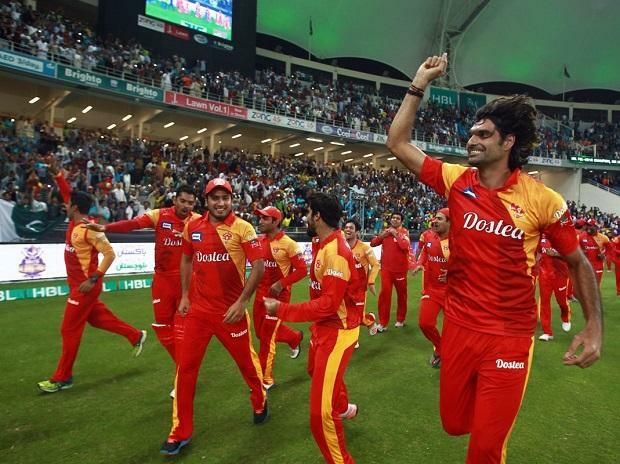 The company was televising the Pakistan Super League, which is being played in the United Arab Emirates because of security concerns, and it was also due to televise the last knockout matches to be held in Karachi and Lahore next month. Forty-one Indian soldiers were killed in the suicide bombing which was claimed by a Pakistan-based militant group in the Himalayan region which was the deadliest attack in a 30-year-old armed conflict. The PCB said an announcement of the new live broadcasters of the tournament would be made on Monday. "The PCB has also noted the recent turn of events and expresses its extreme disappointment as we have always believed and emphasised that sports and politics should be kept separate," he added. The PCB said it will take up the matter with the Board of Control for Cricket in India and the International Cricket Council at a scheduled meeting in Dubai later this month. India has stalled all bilateral cricketing ties with Pakistan since attacks on Mumbai in 2008 which was blamed on militants based across the border. But the nations have continued to face each other at international tournaments and are scheduled to play in the World Cup in England on June 15 this year.